Born in 1971, Yong Hwa Kim is a film student at Chung Ang University. Since 1991, he has worked in 10 short films. 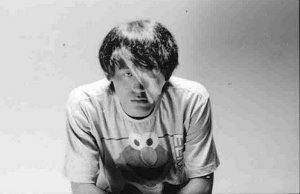 He made his directorial debut in 1999 with "Jaban Ghodeunguh", which won the prize at the 2000 Korean Film & Video Awards. Since I was writing the scenario, I tried to make emotionally impressing films. Although there were hundreds of films for the subject and/or the narrative, I wanted each cinematic elements like sounds, images and narratives to be ironically combined. Thus, I spent a lot of time on pre-production, editing and sound designing. During the production period, all staff and actors helped me a lot, and I really appreciate them. This film couldn't be possible without their passion and love.